Now recognized as our official state game bird and plentiful in every county, the Eastern wild turkey nearly disappeared from the Palmetto State's woods and fields a century ago. 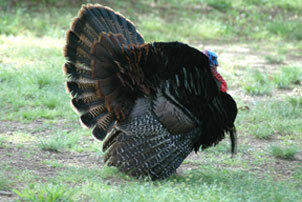 At daylight, the tom turkey's booming gobble rattles forth as he moves from his tree-limb roost to the ground. He's busy about the business of rounding up hens this time of year and might be easily lured in by a hidden hunter with a box call. Still, the hunter will tell you that hunting a turkey, even one distracted by the desire to mate, provides a test of woodsmanship more challenging than any other. The old bird is, as one hunter put it, "as smart as a fox, can run like a good horse, has the keen vision of a goose and can fly with any wild duck." To some outdoorsmen, hunting a tom turkey is the ultimate challenge and a most compelling reason to be in the woods in the spring of the year. 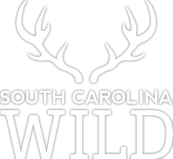 But Palmetto State hunters have not always enjoyed the same abundant opportunities to hunt our state game bird that they have now. During the Great Depression, the number of wild turkeys in the United States fell below 30,000 - a decline caused by over-hunting, clear-cutting and poor management of wildlife. By 1973, the year the National Wild Turkey Federation was formed, the nation's population of turkeys had rebounded to about 1.3 million, in part because of federally mandated wildlife restoration. Now the Turkey Federation estimates the turkey population to be 7 million nationwide. 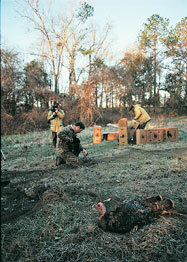 A microcosm of the fall and rise of America's wild turkeys occurred in South Carolina at Hobcaw Barony, near Georgetown. The barony, now home to the Belle W. Baruch Foundation, covers 27.4 square miles and encompasses every natural environment found in our coastal plain. In the early 1900s, wild turkeys at the barony were so numerous they caused traffic jams, wrote Bernard Baruch, the plantation's owner. The turkeys, however, had an old and strengthening enemy - feral pigs. By the 1970s, when the barony was designated a wildlife refuge and hunting ceased, the number of wild pigs erupted to an estimated 2,000. The pigs wreaked environmental havoc at the barony. By 1990, the population of turkeys there had fallen, it's rumored, to a single bird. According to Lee Brockington, senior interpreter for the Belle Baruch Foundation, the causes for the decline were twofold: a loss of habitat because of fire suppression and an increase in the population of feral pigs, an "invasive, omnivorous and ubiquitous" blight. The fate of turkeys at the barony has brightened with the introduction of prescribed burns, which open the forest's understory and restore native plants choked out by more dominant species, and with the trapping and killing of feral pigs, in accordance with state law. 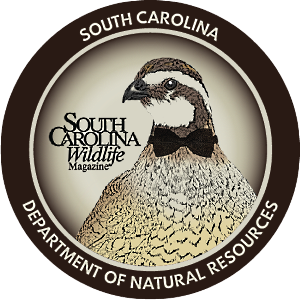 A century ago, when the population of Eastern wild turkeys (Meleagris gallapavo silvestris) had bottomed out, Georgetown County remained a repository for that species' "ancestral stock," says Charles Ruth, S.C. Department of Natural Resources Deer and Turkey Project leader. Ruth explains the ebb and flow of our state's community of wild turkeys: "From 1750 to 1900, essentially all the woods in South Carolina - other than river swamps in the coastal plain, which weren't suitable for agriculture - had been cleared and stumped for farming. Cotton was king. Wildlife habitat was gone, and there was unrestricted hunting, as well as commercial market hunting. All of this kept the number of turkeys down." Ruth recalls an aerial photograph, circa 1920, from his graduate school days at Clemson. "The photo was taken above Clemson and looked toward Anderson, about fourteen miles away. You can see the rolling hills, but other than a shade tree or an old fence row, there were no trees in the photo. It looked like it had snowed, but it was not snow. It was cotton as far as the eye could see." 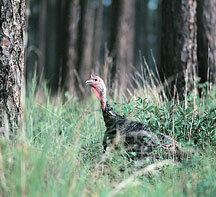 Despite the dearth of wildlife habitat, pockets of turkeys had fortunately survived in the Francis Marion National Forest, the Savannah River Basin and some private plantations. Enter the boll weevil, a bio-event that ironically reforested much of South Carolina. When the pest arrived from Mexico via the Gulf Coast cotton states, cotton production began to fail, says Ruth. "We also experienced a major drought in the twenties, which further suppressed farming." As people walked away from their farms, forests began to regenerate. Taking advantage of the reforestation, from 1951 to 1958 the DNR trapped 328 turkeys in the Francis Marion Hunt Unit and relocated them to Wildlife Management Areas in the piedmont. "In state, from the mid 1970s until the early 2000s, we moved about thirty-five hundred birds," says Ruth. "Now we have birds in all counties, and all counties are open to hunting." If hunters and landowners can't find turkeys, "they either have a habitat problem or they should be patient, as turkeys are all around." Also taking advantage of the reforestation, the forest industry began harvesting the state's naturally regenerated pine-hardwood forests in the 1970s and 1980s, Ruth explains. At first, for wildlife this wasn't all bad. The early successional habitat that resulted from clearcutting "was good for our deer and turkey populations, which really took off." For wildlife, the downside of the timber boom was that these clearcuts were often replanted with loblolly pine. "Once the rows of pines grow up and start shading out, there's no understory, only pine straw. "Turkeys are extremely omnivorous," Ruth adds. "They eat a broad range of foods - hard mast like acorns; soft mast like pokeberries, blackberries, persimmons and crabapples; the seeds of grass, ragweed and legumes; pine nuts, snakes, lizards, frogs and insects." But the fact remains that as crop-pines grow, after ten or twelve years you have canopy closure, meaning little sunlight hits the forest floor, leaving little food or cover for wildlife. 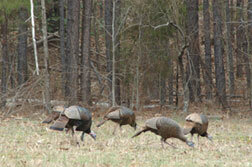 Recently, wild turkey reproduction in South Carolina has been falling. The harvest of turkeys is also decreasing. "I'm not criticizing the commercial pine industry," says Ruth. "That's business and many people's, livelihoods. But a lot of the decrease is caused by habitat change." It is possible to manage for both timber and wildlife, says Ruth, "but you have to decide how intense the forestry practices will be and how they relate to wildlife." A number of strategies, such as tree spacing, prescribed burning and buffer strips, balance wildlife and timber. "You won't reap the full potential of a commercial pine plantation. It's a trade-off for the landowner - how much he values wildlife." Wild turkeys require a variety of habitats, says Mark Hatfield, head of the National Wild Turkey Federation's North American Wild Turkey Management Plan. "They need early successional habitats with native warm season grasses. They need mature forests and the transitional areas between the two. 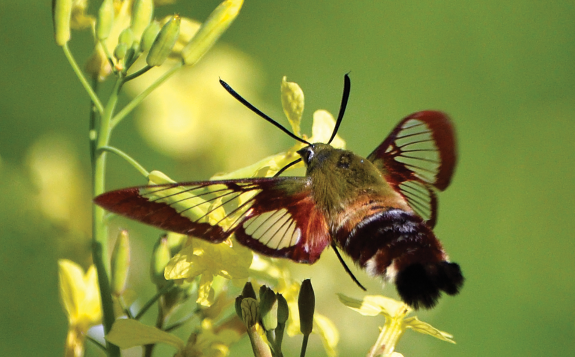 They adapt to hardwood ridges, bottoms and upland sites." In the summer, they nest and browse in overgrown fields and forest edges. "During the fall and winter, when acorns are available, they shift to a hardwood environment. Turkeys are generalists in their approach to food, and their choice of habitat varies with the season, Hatfield says. 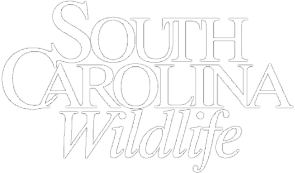 Hatfield also serves as president of the South Carolina Prescribed Fire Council, an organization that encourages professionalism in those who conduct prescribed burns and promotes burning to conserve habitat and natural resources. One critical component of a suitable habitat, says Hatfield, is an open understory, and the most natural, cost-effective and efficient tool for opening an understory is fire. "Remove a midstory of sweet-gums, kill their root system with fire, especially during the spring, and remove the leaf litter," he says. This gives turkeys clear lines of sight and escape and encourages new plant and insect growth for browsing. Fire, however, is not applied as often as needed in forest management, asserts Hatfield. "A lack of prescribed burns is a greater threat to the turkey population than is burning. The biggest shortcoming in land management in the Southeast and South Carolina is that we're not putting enough fire on the ground." Ruth agrees. "A lot of folks don't understand that historically a large percentage of our state's forests were controlled by fire. The Indians were well-versed in the uses of fire to change forest types and stimulate early successional vegetation." Next to loss of habitat, bad weather is the greatest threat to wild turkeys. "One impediment to an expanding population is a cold, wet spring," says Hatfield. "Poults are on the ground ten to fourteen days before they fly. If they get wet, they may succumb to hypothermia. Having two weeks of good weather is important to their survival." A cold, wet spring not only threatens poults, says Hatfield: "It decreases hen survival. Scent carries a lot better in cool, wet weather - the 'wet hen' paradigm. Ground predators are more successful at finding nests. Think about it - when you hunt quail on cool, wet days, as opposed to windy, dry ones, the dogs point a lot quicker." "Take the late freeze we had this spring," says Ruth. A freeze can also adversely affect the year's production of acorns, a favorite turkey food. Fortunately for wildlife, "Mother Nature doesn't put all her eggs in one basket." For example, "white oak species pollinate and produce fruit the same year. Red oaks, on the other hand - scrub oaks such as turkey, blackjack and bluejack - pollinate one year and produce fruit the next." While loss of habitat and bad weather affect the wild turkey population, predation, say Ruth and Hatfield, poses no significant threat. "People think that coyotes are the biggest threat to wild turkeys," says Hatfield, but despite the growing number of coyotes in the state, "they're not." Hawks and owls hunt turkeys; and foxes, opossums, raccoons, skunks, bobcats, hogs, dogs and cats all prey on nests opportunistically. "A great horned owl will kill a mature turkey on the roost at night, but once a gobbler reaches full size, the rate of predation decreases," he says. Nor are hunters decimating our turkey flocks - despite an army of 45,000 turkey hunters in the state and despite the rule that hunters may bag five birds per season in most counties. "You have to remember that turkey hunting, by and large, is an unsuccessful endeavor," says Ruth. "We're looking at roughly a thirty-three percent success rate among hunters." Only about 15,000 hunters bag one or more birds. He estimates the current population of turkeys in South Carolina to be about 100,000, which he believes is a healthy number. Good habitat coupled with the turkey's strong reproductive capability are the best reasons for its success in the past. "If you can average a survival rate of three poults per hen per year," says Hatfield, "odds are that the population will be sustained or increased. But that's a crude estimate." "When conditions are right," says Ruth, "turkeys can produce a lot of offspring." Evidence of this is present at Hobcaw Barony, where the introduction of prescribed burns and the removal of wild pigs have reversed the fate of the resident wild turkey population. By 2007, the number of feral pigs had fallen by half, and the turkey population had rebounded to about 500 - a testimony to the resilience of these great birds when given a fighting chance. This article is an excerpt from Painting the Landscape with Fire, Den Latham's upcoming book on the role of fire in longleaf pine forests. Visit http://paintingthelandscapewithfire.blogspot.com/ to read more. Den Latham is a free-lance writer living in Hartsville.